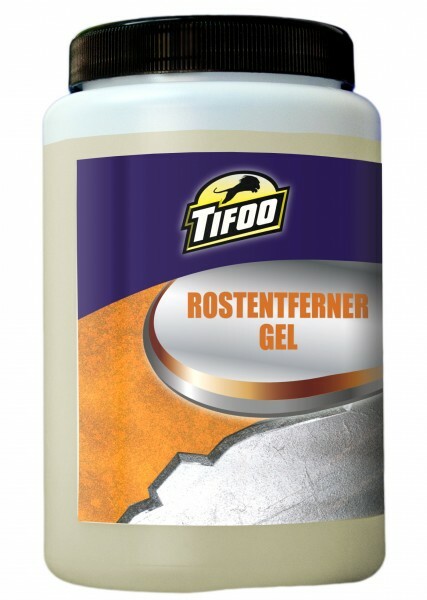 Product information "Rust remover gel"
The Tifoo Rust Remover Gel is a highly efficien rust removing gel that is especially used for pieces that are hardly accessible and that can't be submerged. The use is very simple: coarse rust is first removed mechanically, and the gel is then brushed on the spot in question. After a few minutes, the gel has done its work and you have a completely rust free workpiece. Related links to "Rust remover gel"
Instruction manual for Tifoo Rust remover gel as PDF file. Customer evaluation for "Rust remover gel"